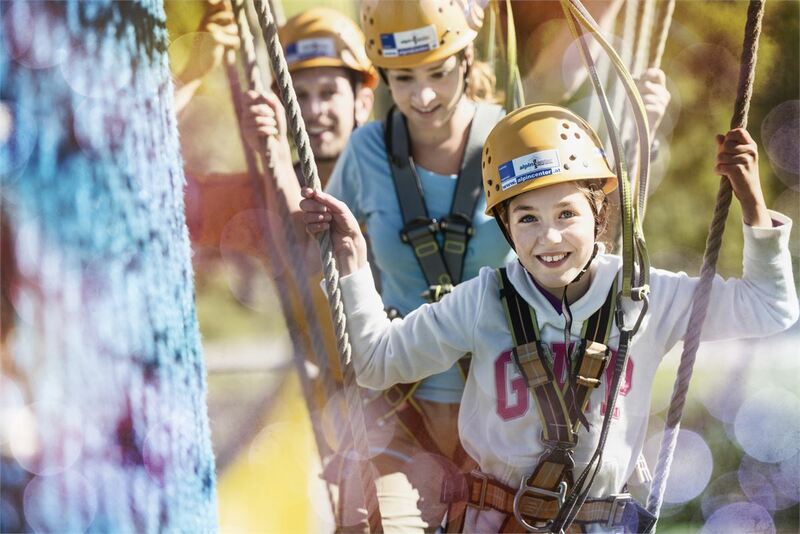 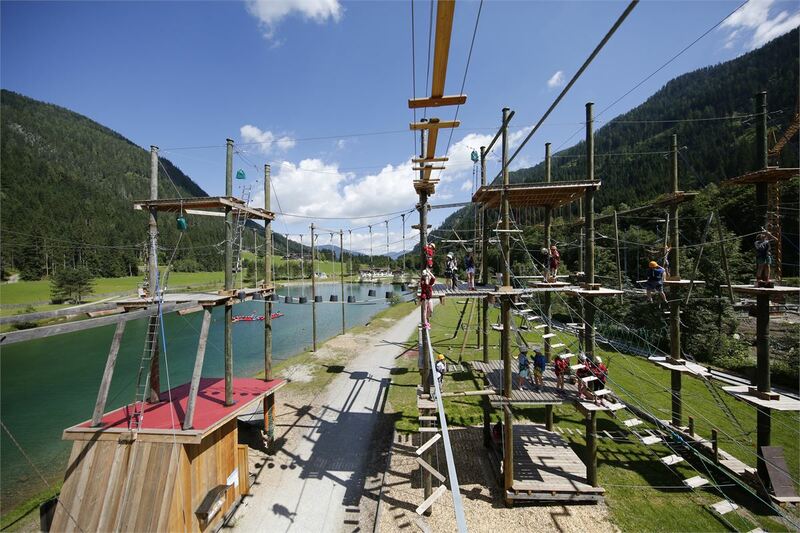 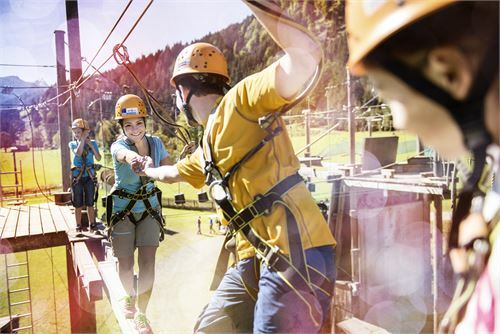 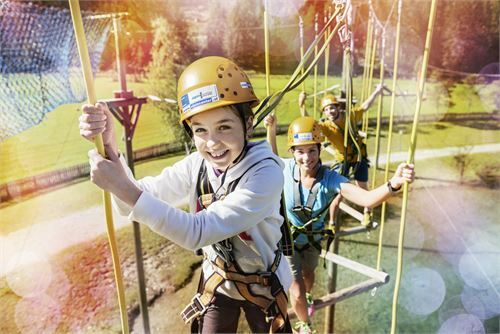 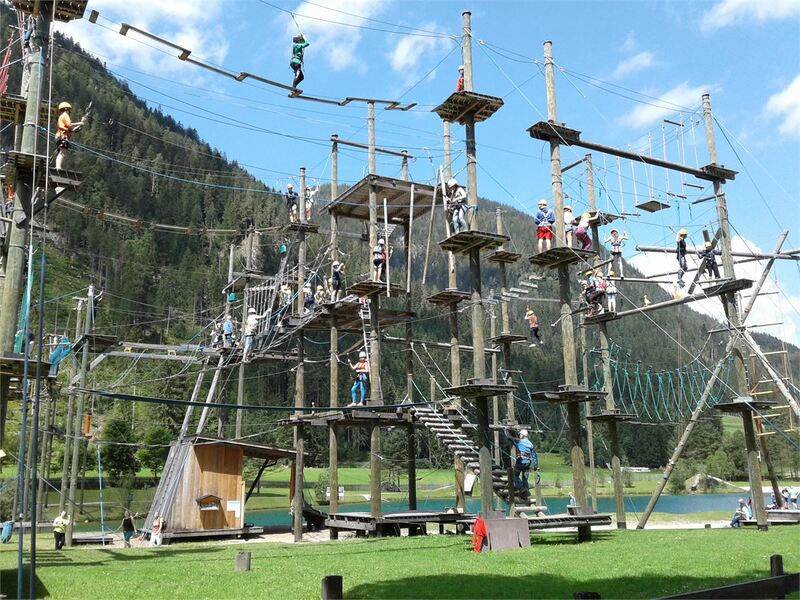 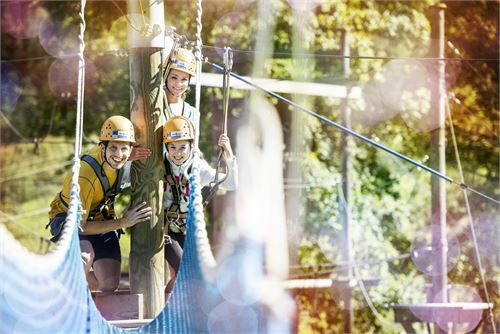 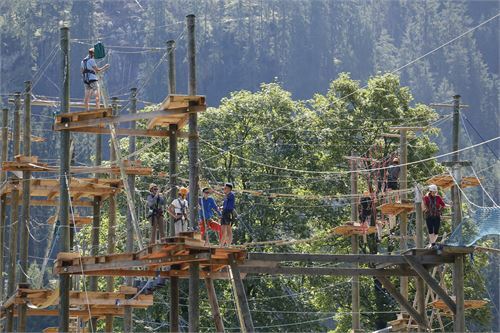 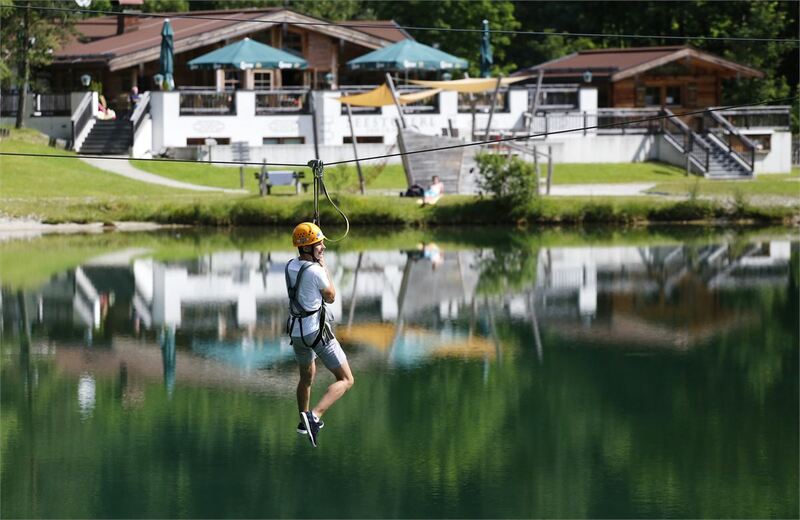 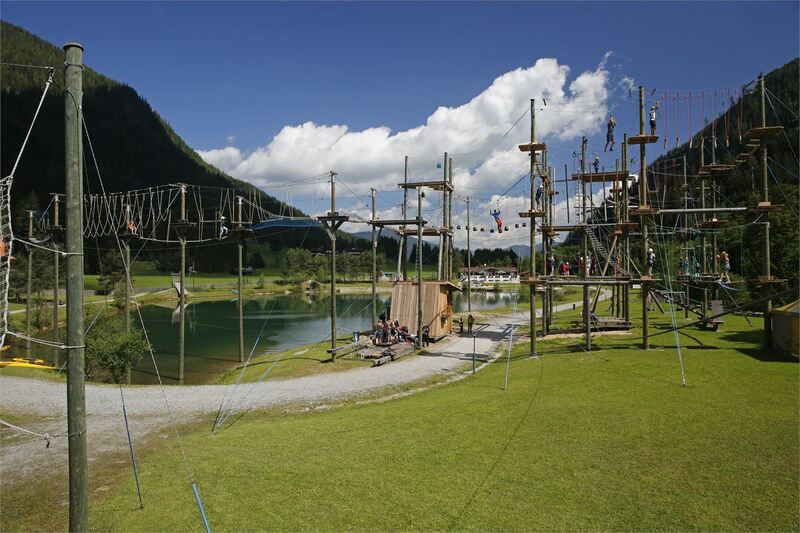 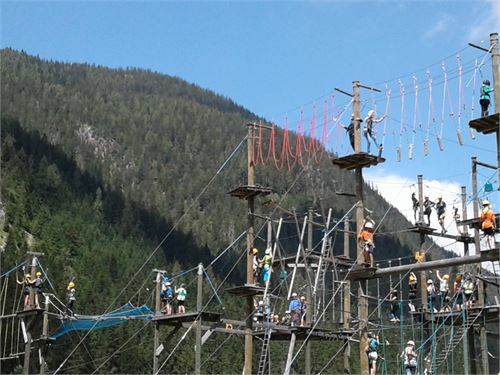 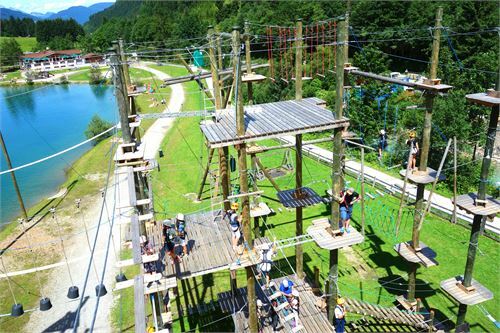 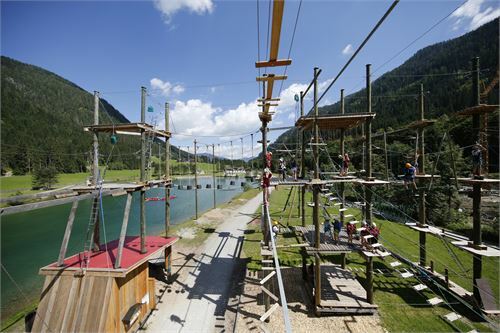 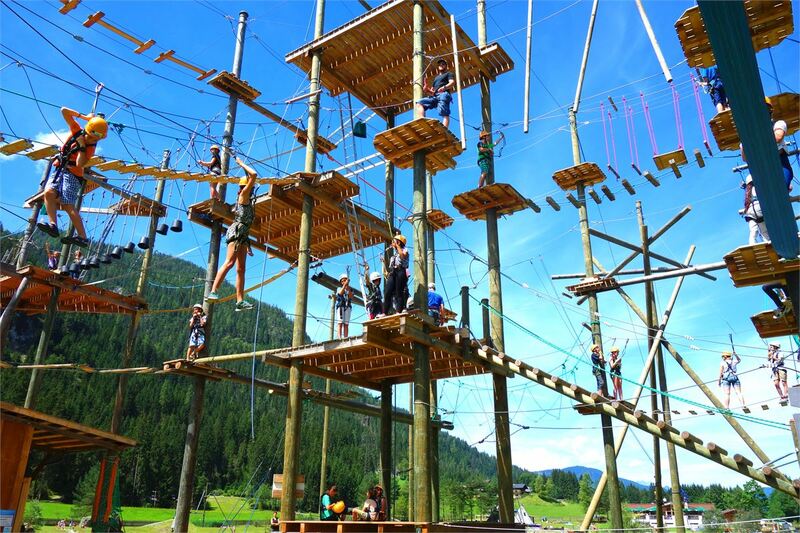 Amidst the area of the "Salzburger Sportwelt Amadé", world famous in winter as one of the best skiing area of Austria, we constructed a very nice and unique high rope course situated at the Winkler lake. With a plattform height of 4-9 meters, the 70 different exercises demand your entire courage. 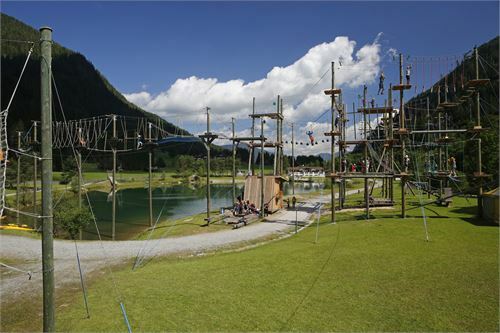 One of the main attraction is for sure the 150 meters long slide rope across the sea. 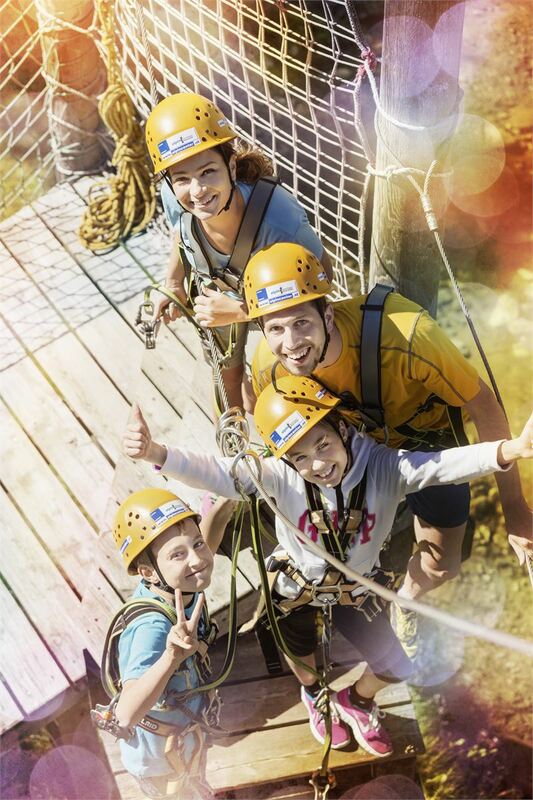 This adventure facility is open the whole year. 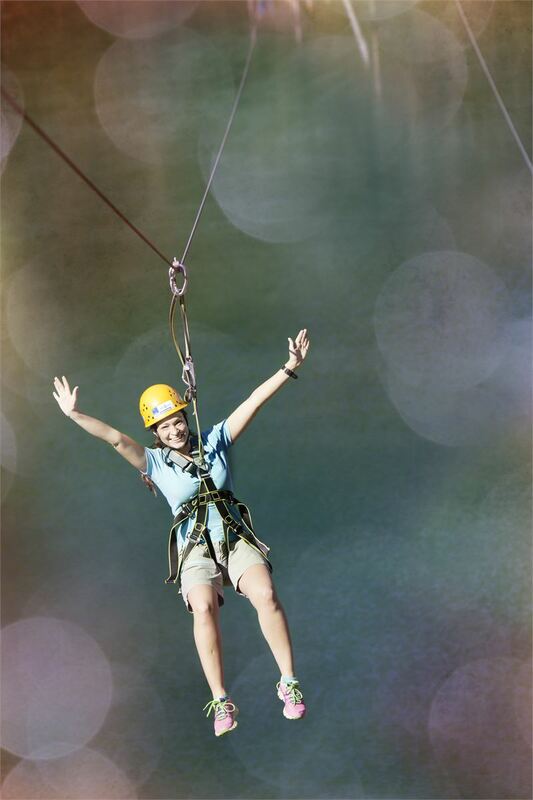 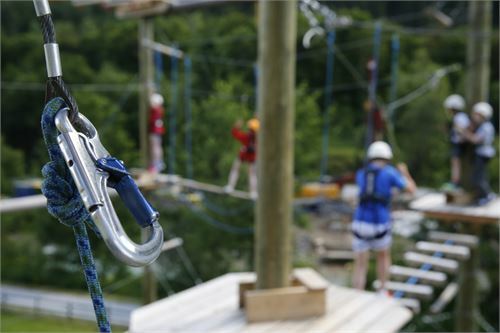 The exercises on the high rope course enable an emotional learning in an unsual environment. You don"t need any equipment but the willingness for new experiences. We assure fun, security and bring the appropriate equipment. 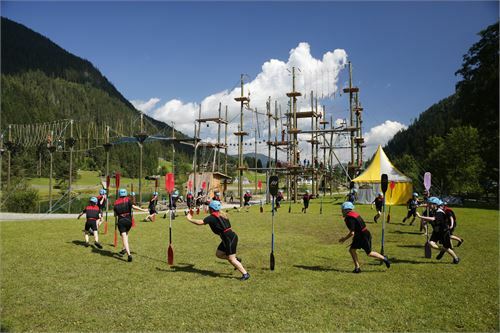 Programm is adequate for newcomers, individual persons and for children over 10 years. 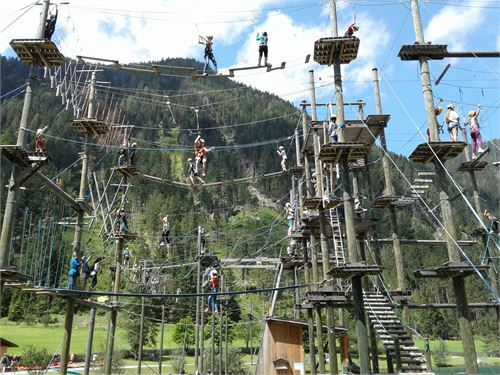 The highlight here are to have fun and to overcome ones own fear. After enrollment of the safty techniques you absolve the diffrent stages of the high rope course. 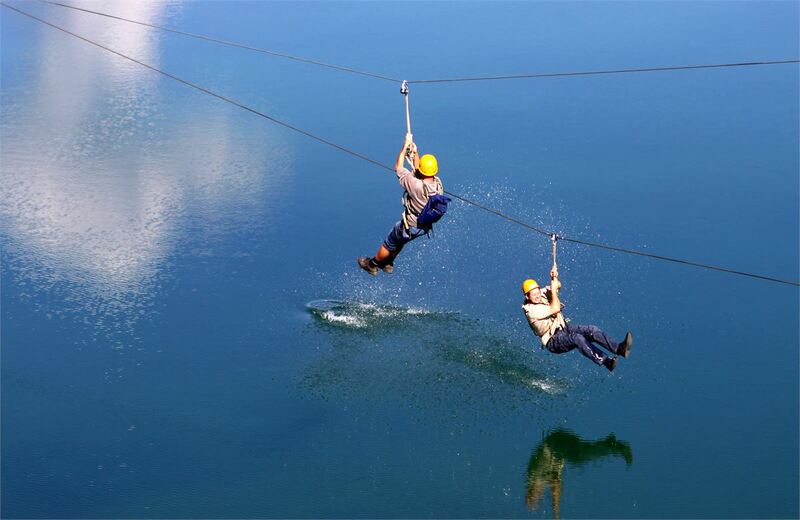 The ending builds a 150 m long flying fox over the sea. Please contact us per e-mail or phone to make a reservation!